The Energy Information Administration has released data to show that in 2011, coal power made up less than 40% of all U.S. electricity. As coal-fueled electric dropped to 30 year lows last year, the profoundly dirty fuel rounded out its year in decline by providing its lowest monthly rates of power production since March 1978. With coal plants shuttering their doors and production down, this looks like great news. But before we get too excited, the EIA attributes the drop in coal usage to a mild winter and a decline in the prices of less-than-environmentally-friendly natural gas (a.k.a. that stuff we’re fracking for). There’s no doubt that a decrease in coal usage is a good thing; the burning of coal releases mercury into the atmosphere and pollutes our waters, while the smoke causes all manner of health problems, not to mention the environmental impact of coal mining itself. Campaigns to end coal mining in the United States have been gaining ground; one of the most prominent campaigns, by the Sierra Club recently enjoyed a $50 million boost from Mayor Michael Bloomberg. 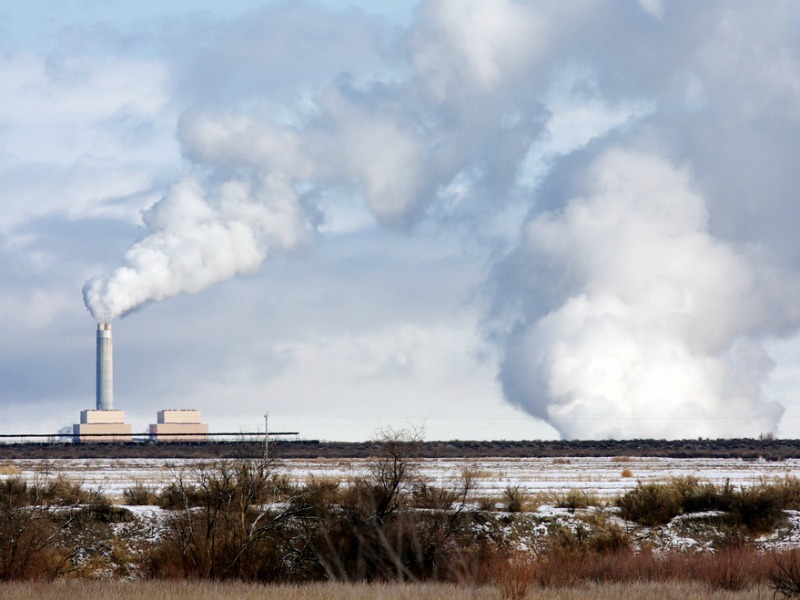 Meanwhile new regulations from the EPA to reduce toxic emissions from coal plants have forced some utility companies to shut down coal-powered operations. 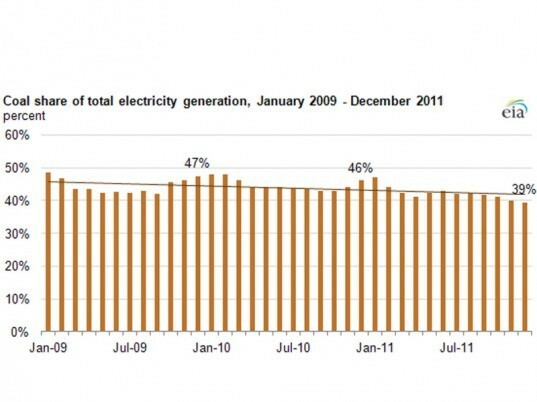 So there are a few reasons why we can’t quite cheer the decline of toxic coal yet. Firstly, we still produce the vast majority of our power from the stuff. While coal usage dropped from 46% in 2010 to 39% for 2011, it still vastly outproduces both of its nearest alternatives: nuclear power and natural gas. Secondly, renewable energy sources such as solar — still notably categorized as “other” by the EIA, held steady as producing 6% of electricity for both years. Less coal certainly means fewer toxins in our atmosphere, but while utility companies continue to reach for fossil fuels over renewable sources, the environmental impact will still be significant. The Energy Information Administration has released data to show that in 2011, coal power made up less than 40% of all U.S. electricity. As coal-fueled electric dropped to 30 year lows last year, the profoundly dirty fuel rounded out its year in decline by providing its lowest monthly rates of power production since March 1978. With coal plants shuttering their doors and production down, this looks like great news. But before we get too excited, the EIA attributes the drop in coal usage to a mild winter and a decline in the prices of less-than-environmentally-friendly natural gas (a.k.a. that stuff we're fracking for).